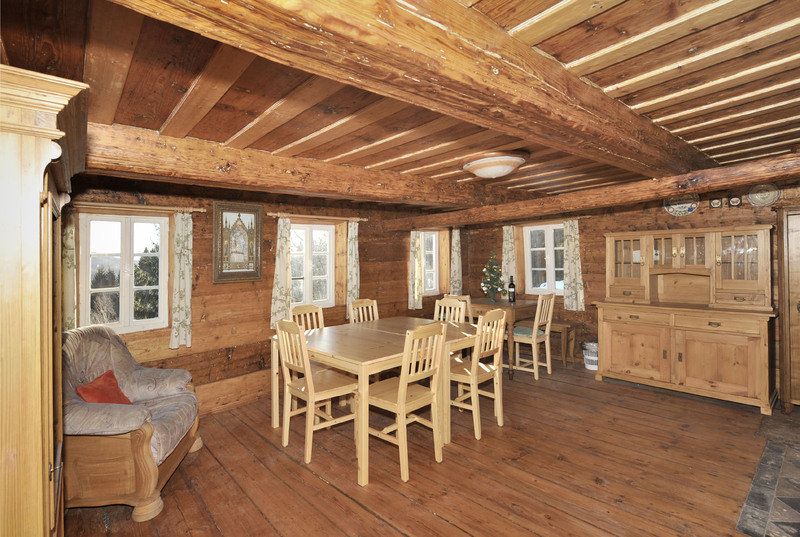 We offer an accommodation in the newly restored traditional log house Vlčí Hora 81 situated in a very peaceful area. 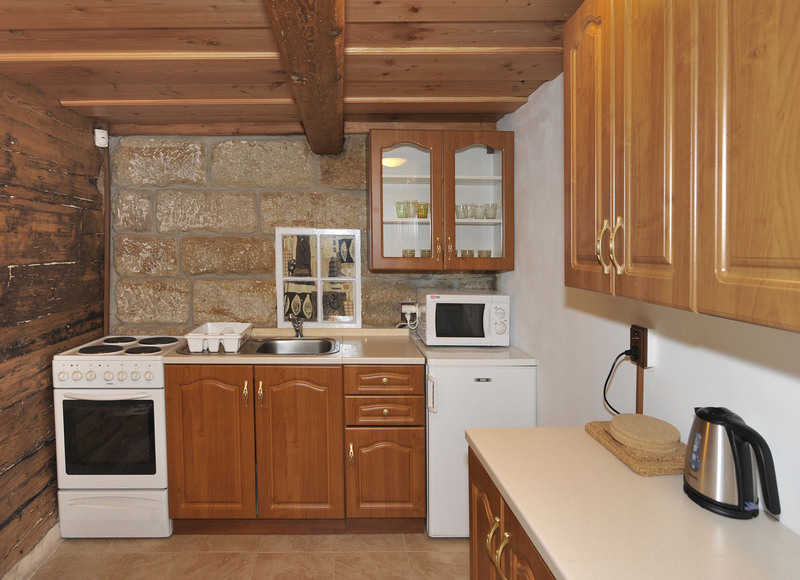 On the ground floor of the cottage is a living room with a fireplace stove and TV, equipped kitchen (electric cooker, microwave, fridge, boiling kettle, dishes) and also a bathroom (shower and WC). 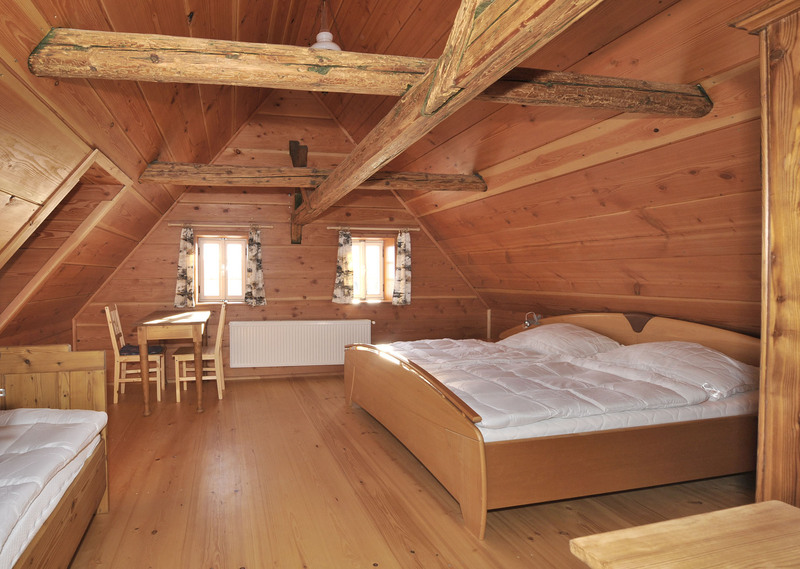 On the first floor there is a large-size bedroom (4 beds), a smaller bedroom (double-bed) and in the loft between the bedrooms there are sitting place and 1 extra bed. The total capacity is 7 people, with comfortable sofa 8 people. 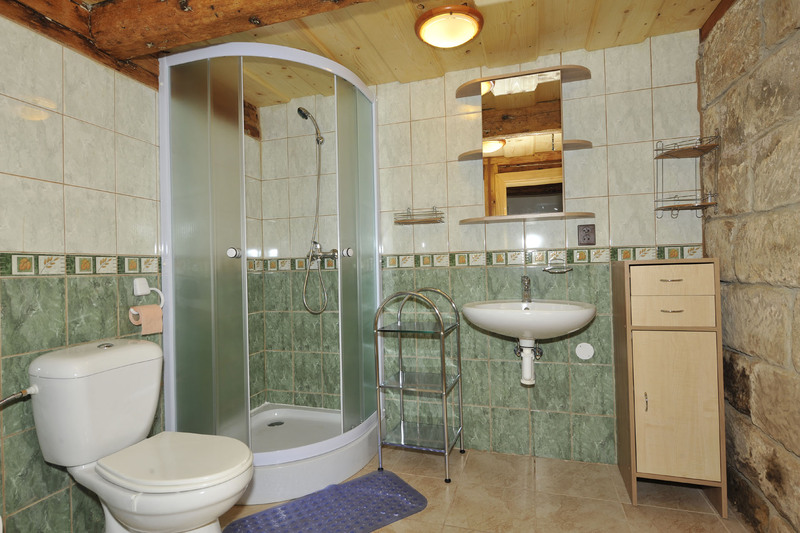 Heating is provided by the fireplace stove with central heating (the living room, first floor) and the electric floor heating (kitchen, bathroom). High quality water comes from its own drilled source. The cottage location ensures peace, privacy and distant view. A fast WiFi internet connection is available. In winter and during heavy rains the path to the cottage is difficult to drive. In this case, it is necessary to park about 150 meters from the cottage. Smoking inside the cottage is prohibited.